Thank you for your comment! Our students worked hard to develop an edit-a-thon that would improve the quality of information available about Wayne State and that has grown. There was a lot of planning on their part to make sure that correct information was on Wikipedia. They are champions of all aspects of the information ecosystem and have done an excellent job of fact-checking and editing Wikipedia. We are proud of them. What a great idea. I like the idea of branching out. 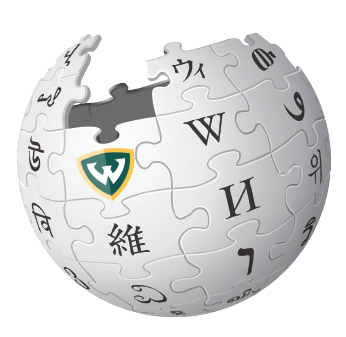 One of the pursuits that would be useful for academic libraries to assume is the vetting of a site like Wikipedia. Those of us who fondly recall the utility of Britannica, World Book and other references source, recall the painstaking work of vetting the information was done so that we could confidently rely on it as a starting off point as well as source for reports for school in all subject areas. On the internet, there is no definitive source for vetted facts and information and that is a huge loss for a generation that turns to the internet first for information. One book and one site should never be the relied on for all of your information but it is nice to have a trusted place to turn in a world inundated by information and much of it is fabricated or skewed. Plus Information Science students should have some experience in fact checking and editing. Good job.